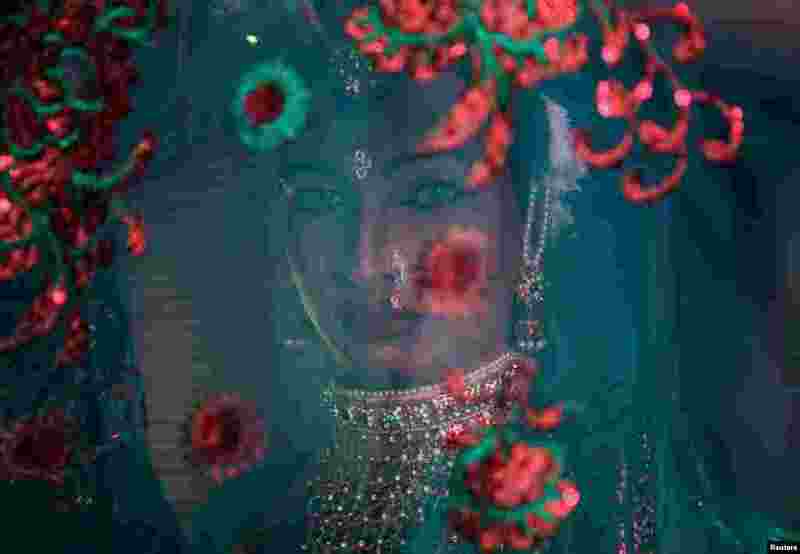 5 A transgender woman waits backstage to perform during an event to raise funds for their community in Mumbai, India. 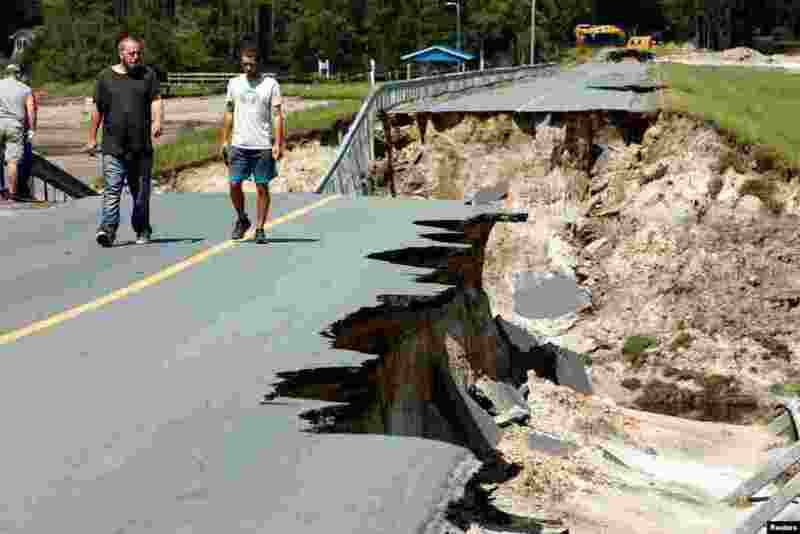 6 Local residents walk along the edge of a collapsed road that ran atop Patricia Lake's dam in the aftermath of Hurricane Florence, in Boiling Spring Lakes, North Carolina, Sept. 19, 2018. 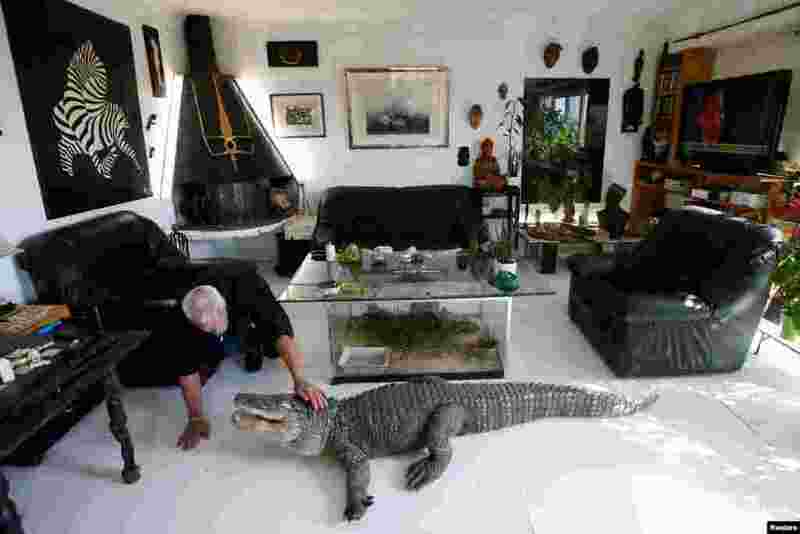 7 Philippe Gillet, 67 year-old Frenchman who lives with more than 400 reptiles and tamed alligators, gives chicken to his alligator Ali in his living room in Coueron near Nantes, France, Sept. 19, 2018. 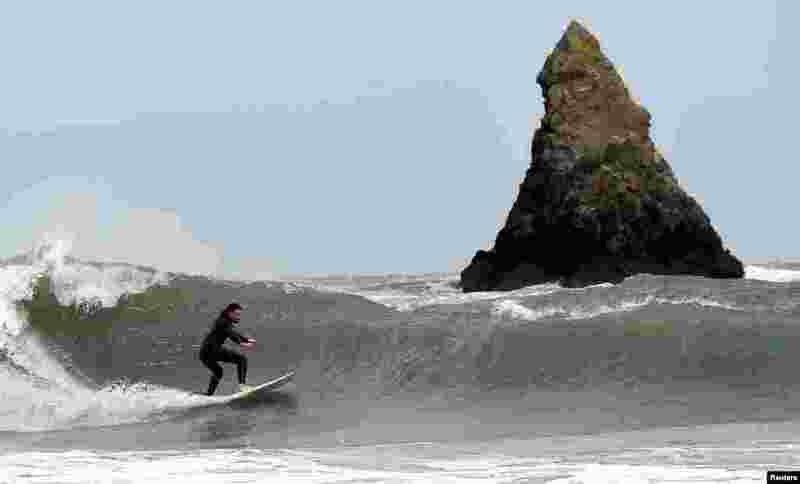 8 A surfer attempts to ride large waves near Church Rock, Broad Haven, Pembrokeshire, Wales, Britain, Sept. 19, 2018.